With Christmas just around the corner it seems like the mantra for the world of beauty is "Slay and stay LIT!" Every thing seems to be about "Getting that glow" and "Being on fleek" and I'm seriously LOVING IT! 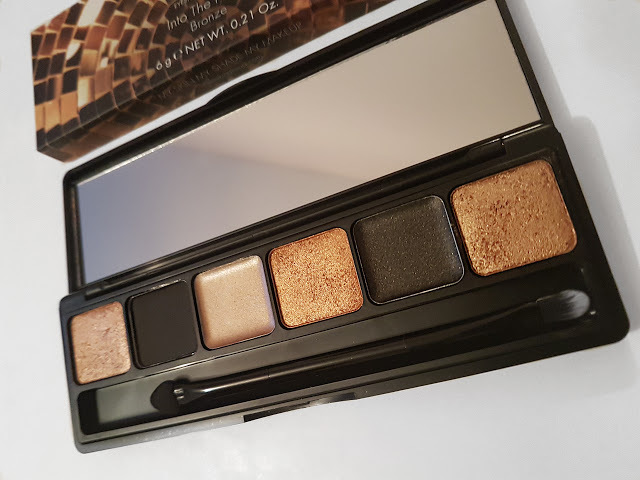 This palette is part of a limited edition collection and is available in 4 different shades, Hidden Gems, Diamonds In The Rough, and Silver, the one that I was sent is in the shade 'Bronze' which is exactly the shade I would have picked. 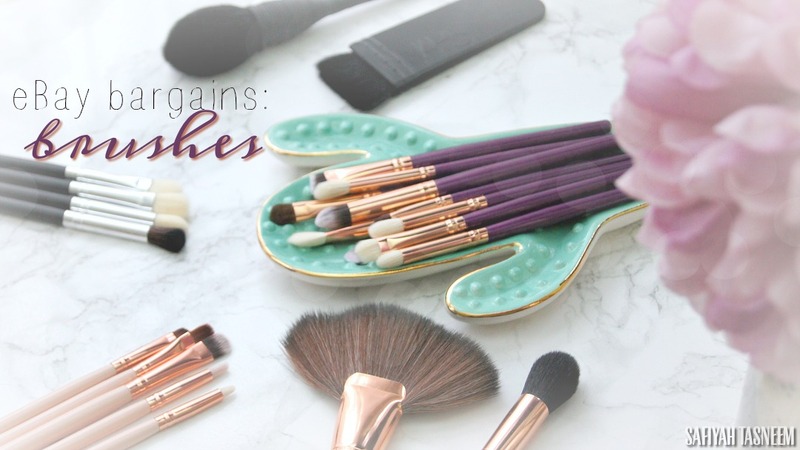 There is just something irresistible about warm toned eye shadows that make me lose all sense of rationality! "Slay this party season with the new glowing limited edition Into the Night collection. 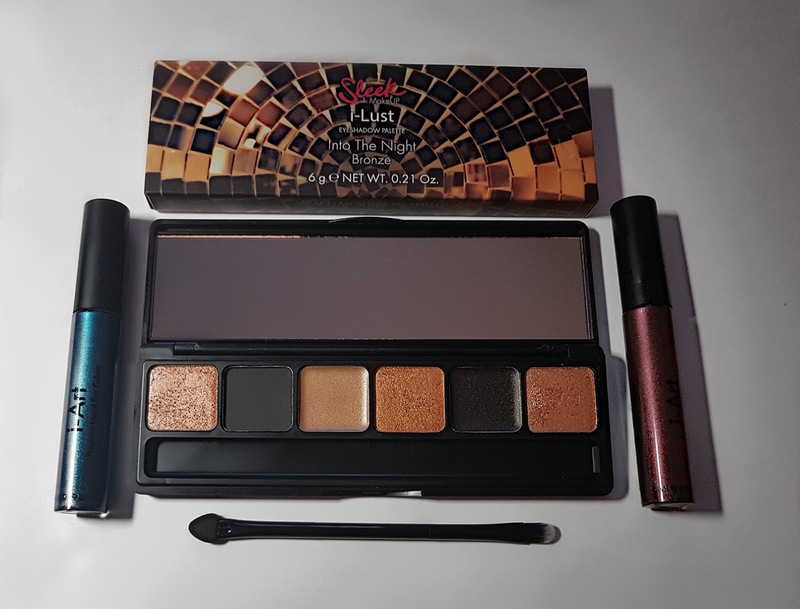 Sleek MakeUP is spoiling makeup lovers everywhere with a banging limited edition collection including two metallic i - Lust Eyeshadow Palettes, five Matte Me Metallic Lip Creams and two Strobe Domes. The festive season is the perfect time to wear your boldest look and this collection has all the festive vibes you need." The outer packaging seems to be designed with an image of a huge mirrored disco ball which I thought fitted in well within their theme of "slaying the party season". The palette itself is a slim rectangular shape, matte black with all the information written in gold as you would expect. Inside there is a good size mirror, a dual ended brush with one end that had a sponge tip applicator and a small flat synthetic shader brush on the other end. 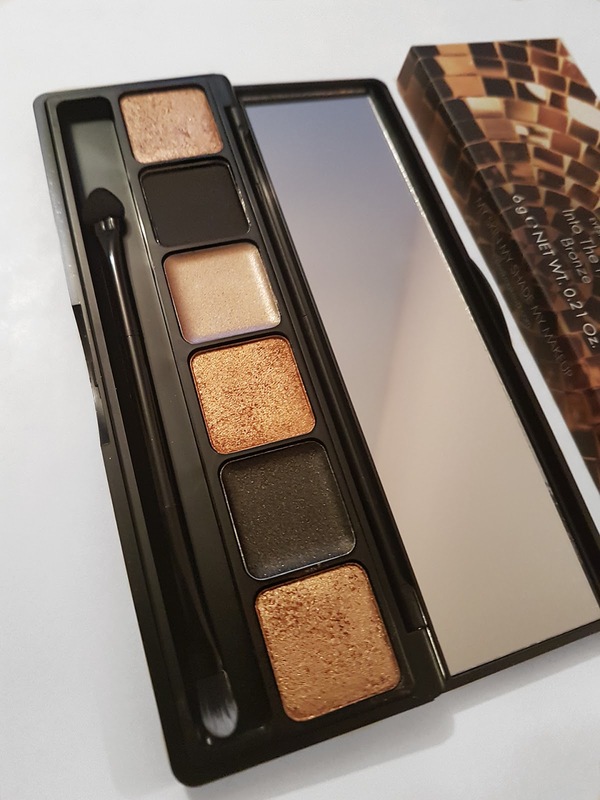 I love the size of this palette as it is really compact and would easily fit into a clutch bag should you need to take it out with you for touch ups. 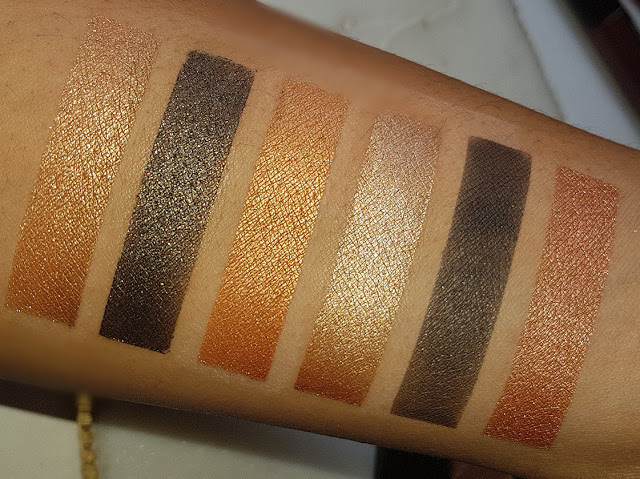 There are 6 shadows, 4 of which are baked powders and 2 cream eye shadows. The 3 gold and bronze shades seemed to perform really well, they are highly pigmented and gorgeous when swatched and applied on the eyelids. The matte black shade was the one shade that looked like it would be incredible at first glance, but upon using it I was quite disappointed as it was nowhere near as opaque as I would have liked it to be. But saying that the matte black shade would make a good base colour. Lastly the cream shadows performed well, the black cream shadow has bronze glitter that runs through it, it stayed on all day and didn't crease. 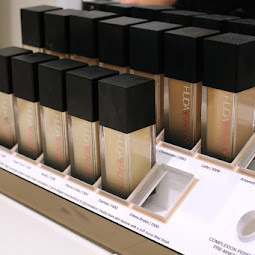 The cream eye shadow in the pale gold was also fantastic to use and could double up as highlighter as well. 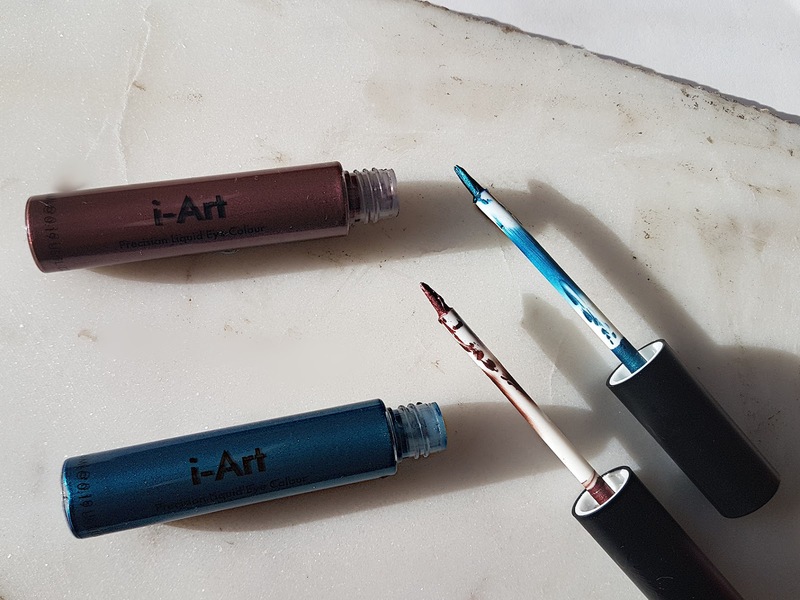 The liquid eye colours are presented in a slim tube that is reminiscent of a standard liquid lipstick or lip gloss packaging. It has a mini paint brush style applicator. 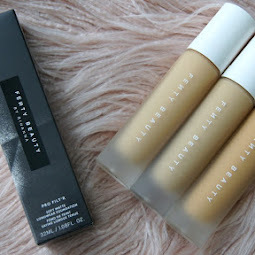 I was genuinely super impressed by the pigmentation and intensity of both shades, they were both amazing to use! 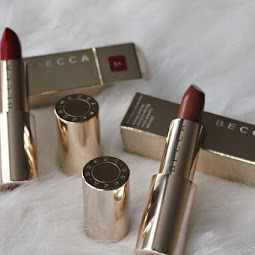 The colour pay off is incredible, they did not crease all day and were easy to apply. The brush tip applicator made it really easy to apply and create my flicks, but I did find that if you kept going over the line it did cause it to become slightly patchy. I persevered and managed to create some sort of a cat eye flick, but I don't see why you couldn't use a eyeliner brush to apply it for more ease of use. 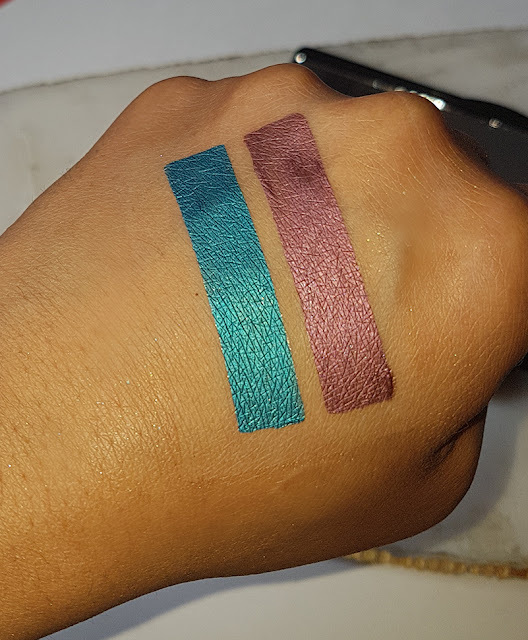 The colours are not glittery at all instead both are bold metallic shades. Once you apply them, there is time to correct mistakes however, once it dries the deed is done - it will not budge. Neo Pop is such a vibrant blue it literally made my eyes pop when I used it as an eyeliner. Orphism is also a gorgeous colour less vibrant then the Neo Pop shade but still stood out! 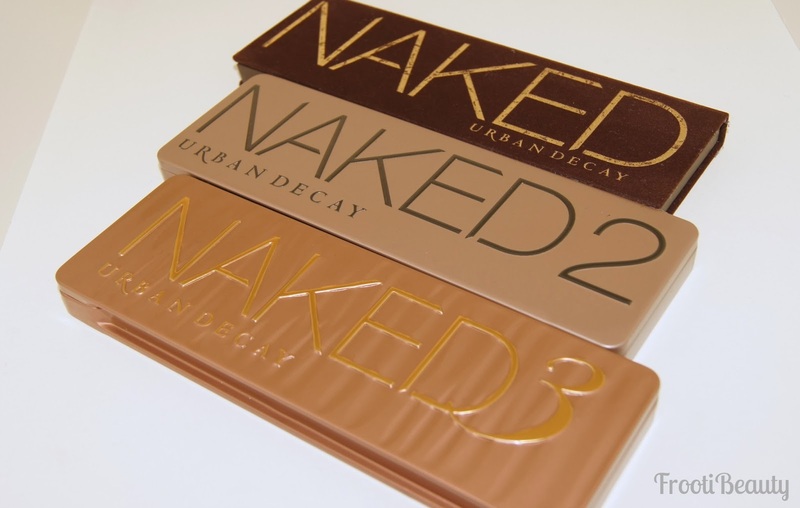 They dry completely matte without any tackiness nor do they flake off. Literally love these!